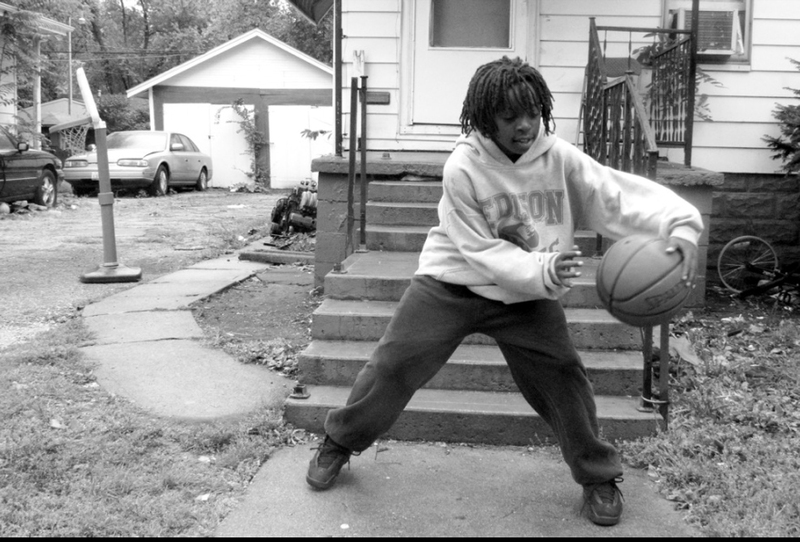 Jamonte Williams, 11, practices basketball in front of his home at 105 E. Roper St. Jamonte is ranked 11th in his state Amateur Athletic Union basketball age bracket and according to his mother, Sheena Williams, is also an A student. Dozens of residents in the Bristol Place neighborhood could be relocated from the area as part of a redevelopment plan from Champaign city officials. By Robert Holly/For CU-CitizenAccess.org — For more than a month, community members have waited for the Housing Authority of Champaign County’s board of commissioners to reach a decision on Resolution 2012-27. The resolution proposes to rank applicants on the waiting list for housing vouchers on preferences in addition to a random lottery. There are currently 400 low-income people on the waiting list for the vouchers that will assist them in paying for housing. A special session is tentatively scheduled for 1 p.m. on Nov. 8 to discuss it further, following a meeting in October where the board tabled the resolution. Supporters of the resolution praised it for assisting displaced residents and victims of domestic violence, while critics voiced concern over the resolution’s exclusion of the homeless. Because of the addition, Grant Henry, vice-chairman of the board, suggested delaying decision. Henry said, with the change, commissioners need time to reflect on the resolution and gain clarification. If the resolution is approved, applicants will be selected in order of highest total number of preference points and lowest lottery number. Under the resolution, low-income households that had vouchers but then lost them due to lack of funding would receive three preference points. Veterans, applicants displaced by government action, victims of domestic violence, applicants with a disability and applicants living or working in Champaign County receive one preference point. Though the resolution’s change was added to address neglecting the homeless, some said the new preference is not enough. Because applicants living or working in Champaign County also receive preference, any advantage for the homeless is essentially negated, critics said. Instead of giving the homeless a preference, the addition merely prevents them from receiving a disadvantage. There are about 550 homeless individuals in Champaign County, according to C-U at Home’s annual survey. C-U at Home is a church-based organization which provides assistance to the homeless. Esther Patt, director of the Champaign-Urbana Tenant Union, pointed the problem out to the board, prompting obvious support from community members who loudly expressed their agreement. “When I walked in tonight, somebody from the housing authority said, ‘You’re going to be happy from today’s meeting.’ If I were stupid, too stupid to be alive, I’d be happy,” said Patt. The motion to table the decision was opposed by commissioners Clyde Walker, Jim Rose and Larry Lewis. Walker said he voted not to table the resolution because he believed he understood the issue and “was ready to vote.” But, when Patt spoke to the board, he acknowledged his sentiments changed. In the past, advocates for the homeless have argued that the Housing Authority’s primary responsibility is to provide affordable housing for those who need it most. They believe not giving a significant preference to the homeless is a violation of that duty. Melanie Jackson is the program coordinator for C-U at Home. She said that it is nearly impossible for somebody living on the streets to go from the sidewalk to an apartment without help. Homelessness was initially excluded because it is challenging to verify, the authorities and housing experts have said. The homeless are transient and few measures exist to prove they’re actually homeless. Leaving them off a housing authority’s preference list is common, said Stacey Tutt, director of the community preservation clinic at the University of Illinois. Tutt also is a member of the steering committee for the Bristol Park project, whose residents – if the resolution is approved – will receive preference when they’re displaced for redevelopment. Part of the resolution’s change tries to account for that difficulty. The homeless preference stipulates that applicants must provide proof of homelessness in the form of a written verification letter provided by a shelter. Still, some find it unrealistic to pursue a homeless guarantee. Jackson said that lying about being homeless is no different than lying about any of the other preference categories. Tutt also said housing authorities are hesitant to include a preference for homelessness because they don’t want to encourage it. They worry that, if homelessness is a preference, applicants may allow themselves to become homeless. Data from a study conducted by Andrew Greenlee, an assistant professor of Urban and Regional Planning at the University of Illinois, support Tutt’s claim that homeless preferences are uncommon. Provided to the housing authority during the resolution’s drafting stage, the study examined 52 of the Illinois housing authorities and determined which preferences are most frequently used. He found that only seven Illinois housing authorities elected to give preference to the homeless. The most used category was local residency, which establishes preference for individuals living or working in a given county. Second was employment, which gives preferences to households where at least one family member is employed. Displacement due to disaster or government action was the third most common preference among Illinois housing authorities. Preferences for people with disabilities, veterans, the elderly, victims of domestic violence and rent-burdened households were the next most popular options, according to the study by Greenlee, who specializes in housing issues.